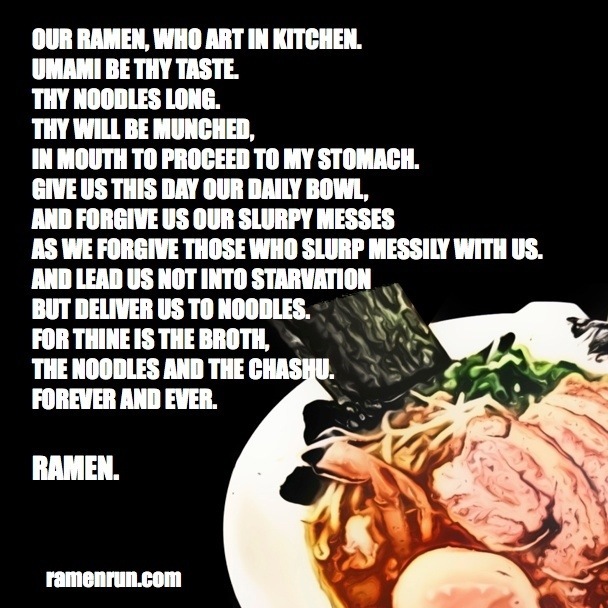 Okay, so my brother came up with this brilliant idea of a ramen prayer. I hope it doesn’t offend anyone. Stay tuned for a new blog post of a new restaurant! This entry was posted in Meme, Ramen, Ramen Run and tagged Memes, Quotes. Bookmark the permalink.